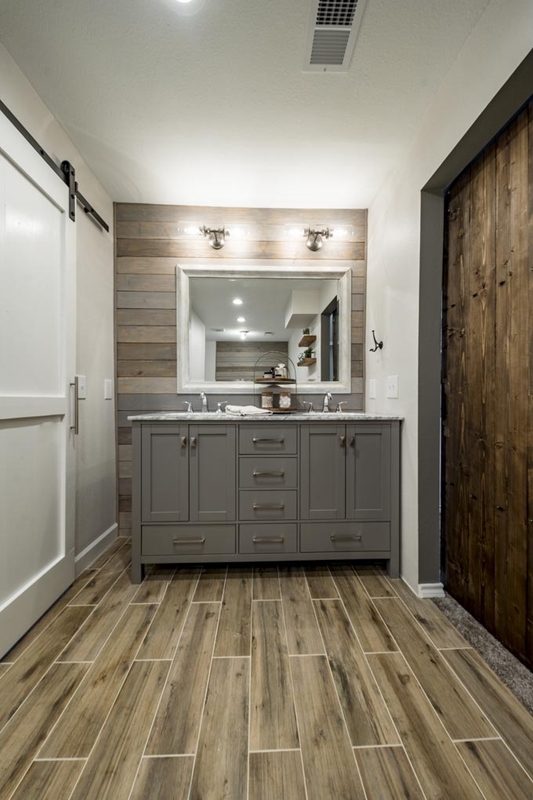 A few months ago we were walking through a project with a client and got so excited about the prospect of this renovation, The bathroom had two entries from the bedroom, and 4 (FOUR) doors inside the bathroom. There were doors everywhere. A sunken garden tub from the 60's right in the middle and we knew there could be some really great transformations to this space. The idea was to close off one of the entries and create a single opening from the bedrooms. 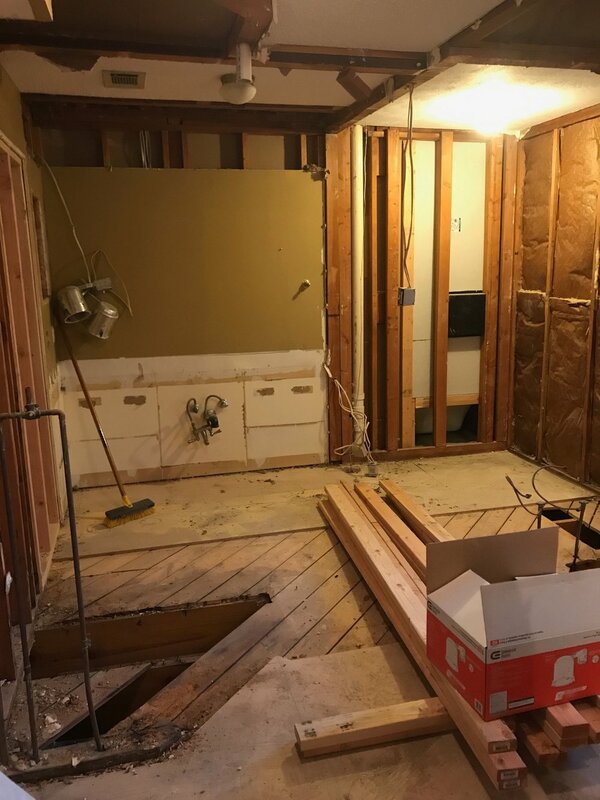 we were removing all the walls and all the doors and closing in the area where the garden tub was to create a huge master closet. We started with demo. We tore out the entire bathroom and started with a clean slate. We first added new lighting and electrical. Then we started framing out the shower nook and the master closet. Our client has amazing taste and chose this multi-colored stained shiplap for the surrounding walls. It's such a unique and perfect statement for this bathroom renovation. 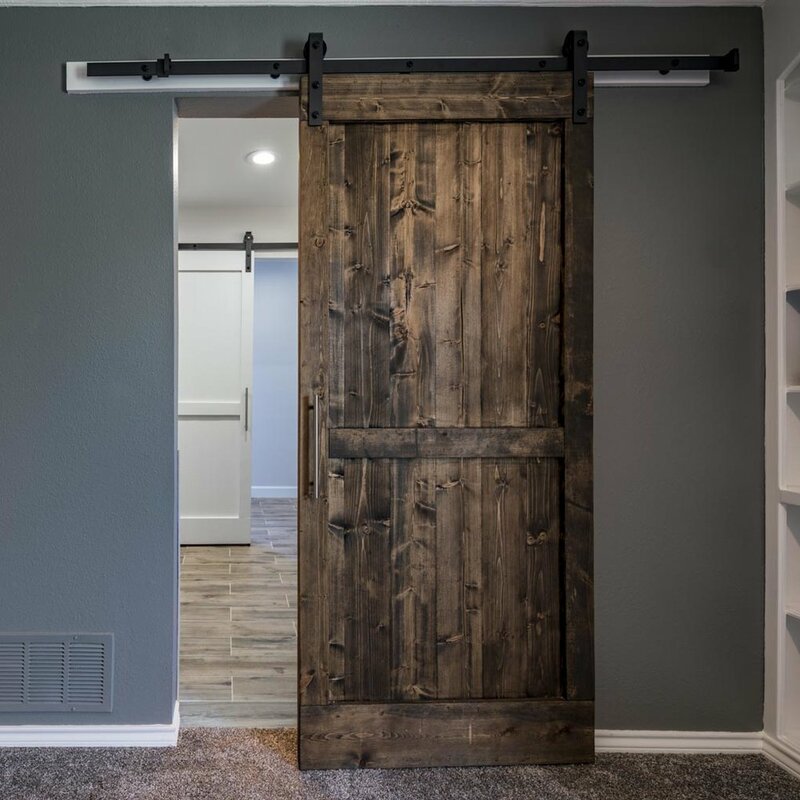 One beautiful barn door that leads into the closet from the bathroom. A second barn door that leads from the freshly painted bedroom into the new master en suite. Sometimes, the littlest things make the biggest impression. We LOVE these hooks. They are durable and stand out against the new walls. The double vanity got a couple of updated vanity lights. 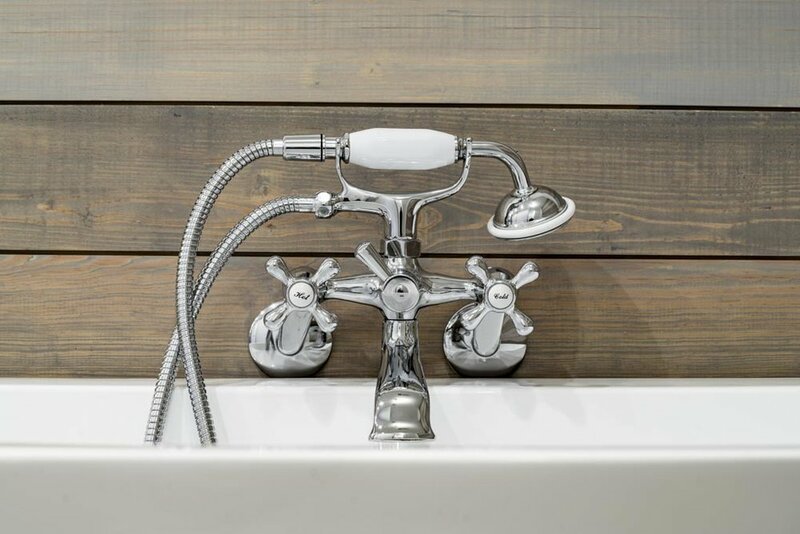 We added a wall mounted faucet for the new freestanding tub. The master closet it HUGE and has the basic Elfa System from the Container Store. We love closet organization! And now the moment you've been waiting for. The big reveal. We hope you love this new updated bathroom. We love the way this turned out. It's amazing what can happen in a space when you put your mind to it! ALL of these ideas were the clients and we just LOVE the way it finished out. Okay!! That's it! We just love this renovation and this family. We did another bathroom in their home too. I'll post that one soon for you all!